Classic style villa located within the sought after gated villa Urbanisation of El Herrojo Alto, La Quinta. Charming family home built 12 years ago on 2 levels that presents itself in impeccable condition. The entrance level has an open plan lay out and is consisting of a hallway with double staircase to the upper level, fully fitted kitchen with dining area and a separate laundry and storage room, living room, a guest bedroom suite currently being used as a tv room with central fireplace, all rooms leading out to large open av covered terraces with spectacular sea views. 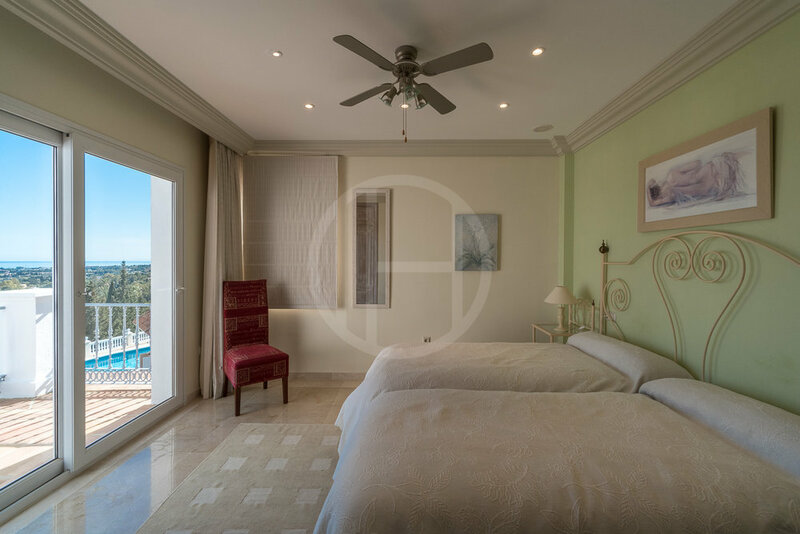 The upper level consists of the master suite built half a level below further 2 bedroom with en-suite bathrooms, all bedrooms has private and open terraces - again with incredible sea views. The villa has a beautiful private garden with a pool on the lower level which is accessed from the terraces. 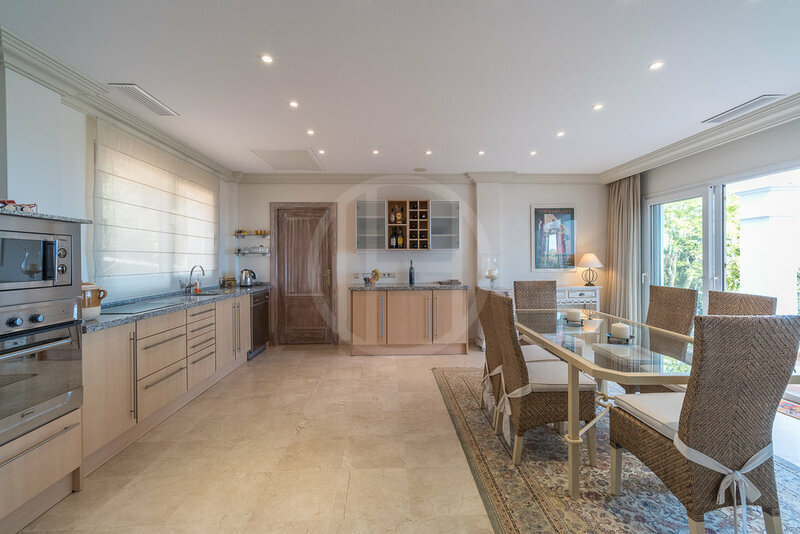 On this level there is also possible to extend the living areas in the basement area with a lounge/bar, cinema room, gym and further bedrooms if needed. Walking distance to La Quinta Golf clubhouse and several restaurants. The lush and green La Quinta Golf and Country Club is a fine residential area often included in the definition of the "Golf Valley" area of Nueva Andaulucia. However, it belongs to the town hall of Benahavis which is the wealthiest muncipalilty in Spain. The resort has 27 holes that was designed by World and Ryders Cup champion Manuel Piñero. Apart from the excellent golf course with its renowned Golf Academy, you will find great restaurants at the charming clubhouse, a gourmet shop, paddle tennis courts, children's playgrounds, a 5-star Westin hotel, and the excellent YHI spa and gym. Furthermore, La Quinta hosts one the best football training facility in Spain, often visited by top European clubs and National teams. Its located just a short drive from all services, and Puerto Banus.